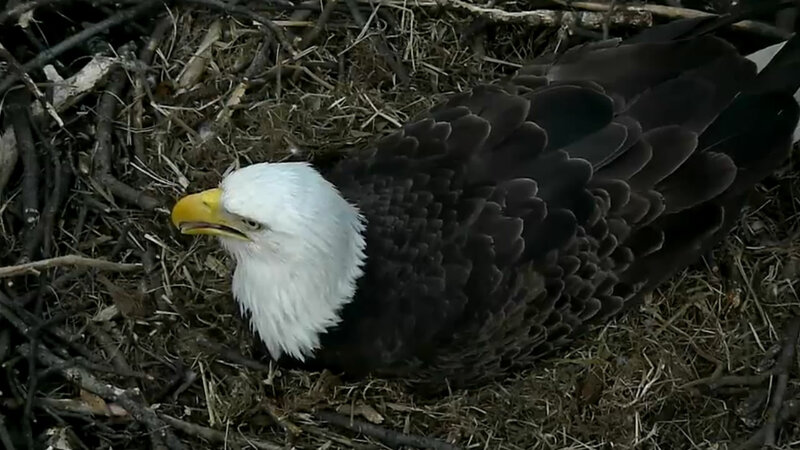 WASHINGTON, D.C. -- A prolific Bald Eagle couple at the National Arboretum in Washington are about to be parents again. The eagle's known as the First Lady and Mr.President can be seen nesting atop a Tulip Poplar tree.The egg arrived on Sunday evening. The Eagles began nesting at the Arboretum back in 2014. They raised two Eaglets, known as Freedom and Liberty last year and another Eaglet in 2015. Click here is you'd like to watch the Eagles.